milk for her, coffee for you? those are some nice mugs. 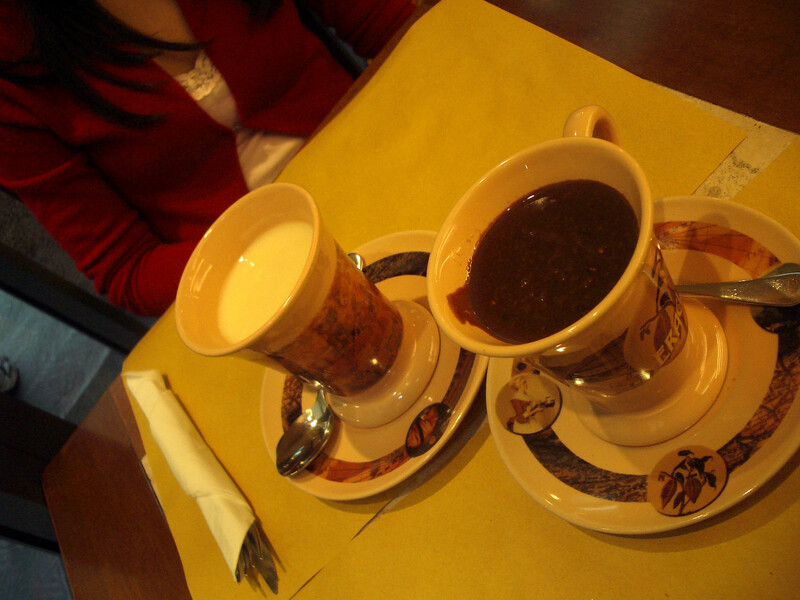 Nope, white hot chocolate and I had orange hot chocolate.